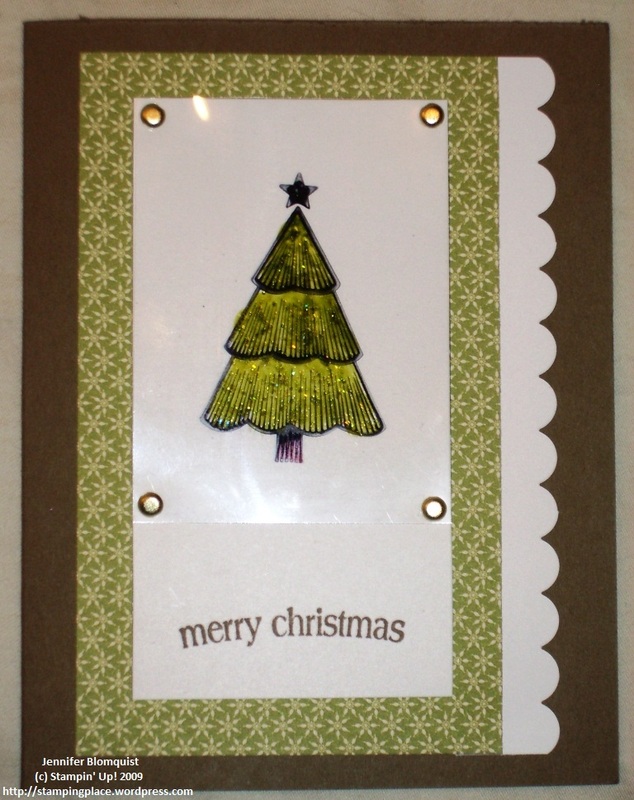 For this card, the bling came in the form of sparkle on a colored window sheet image. To do this, start by stamping your preferred image onto a window sheet using Staz-on ink. Squeeze some crystal effects onto a piece of plastic or some waxy paper (I like using the backing that is left behind when you peel off the sticker labels for your stamp sets). Add a drop or two of reinker dye and some dazzling diamonds glitter. 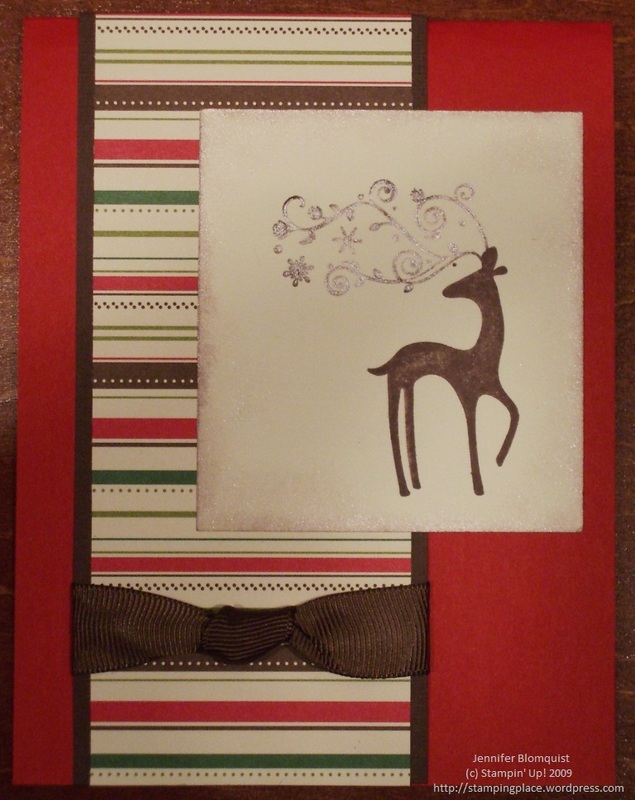 Mix together and apply to your stamped image with a paintbrush. 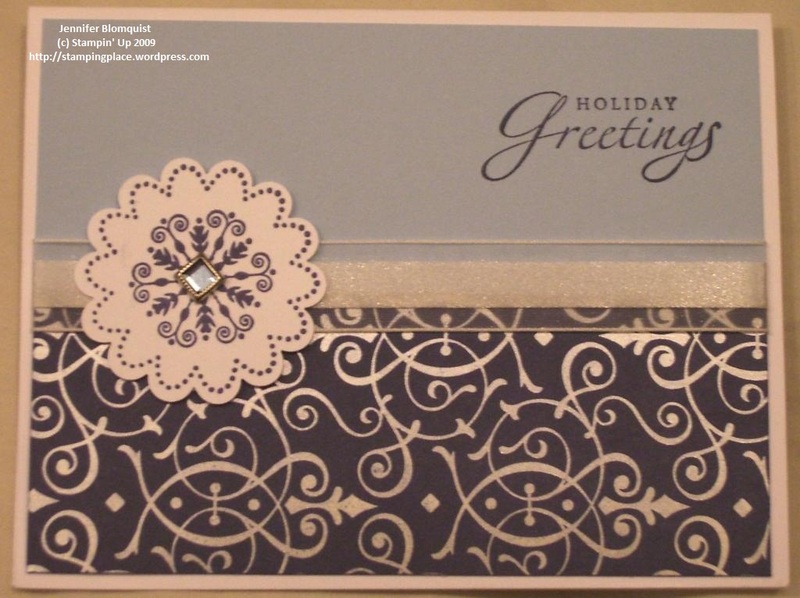 Once that has dried, attach your window sheet (ink side down) to your card front using brads or your favorite adhesive (just note that if you use adhesive it will show through unless you cover it up with another card element. I had been seeing some fabulous samples using the new Bride specialty DSP. If you haven’t seen the paper before, it is a white (or black or ivory) paper with either stripes or the swirly pattern in shiny foil of the same color. While this is pretty and elegant on its own, it is also perfect for coloring because the shiny part resists ink. So, for this card, we inked up our brayer and rolled it over the paper to create the design on the bottom half of the card. It can take a few rolls to get the color coated evenly but gives you tons of options with only one package of paper and a few ink pads. So, this is the hardest effect to see in a photo but adds a subtle shine to your projects. It is also the easist and fastest technique of all. Ink up your image (don’t you just love the Dasher stamp from the under $10 section of the catty??) and set the stamp aside BEFORE you stamp. Next, take your shimmer paint container and shake it up. Open it up and set the lid in front of you. Now, you should be able to take a sponge dauber and pick up the shimmer paint from the inside of the paint container lid. Sponge the paint on top of your inked stamp (in my case I just sponged over the antlers). NOW, stamp your image onto your paper. You will see the color come through but with a shimmery effect where you applied the paint. I then used the dauber which had some ink and some shimmer paint left on it from daubing the stamp rubber and used that to distress the edge of my square paper. It gave it a really nice shimmery brown all around the edge.